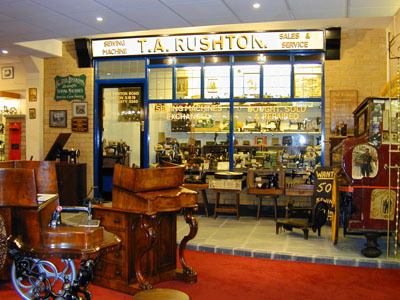 The London Sewing Machine Museum is certainly what you would call a specialist museum. I can imagine that only those interested in sewing, crafts and perhaps machinery would find this small but very informative museum of interest. But that is not necessarily so and I know many people have paid this small museum a visit and found it to be both interesting and a pleasure. Personally I like the idea of a museum all about the history of the sewing machine. I can remember my Nan having an old singer machine which stood in the corner of the room and which I found a rather comforting item to have around, I wish I still had it. 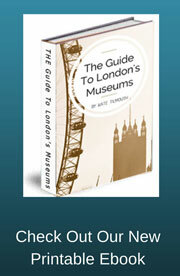 This london Museum only has very limited opening hours, so do check at the bottom of this page and with the museum before you visit. Open on the first Saturday of every month 2pm & 5pm. Free to enter but donations welcome which will go to our chosen charity. 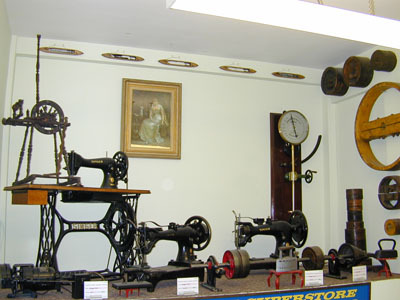 The London sewing machine Museum is housed within the Wimbledon Sewing Machine company shop on its first floor. 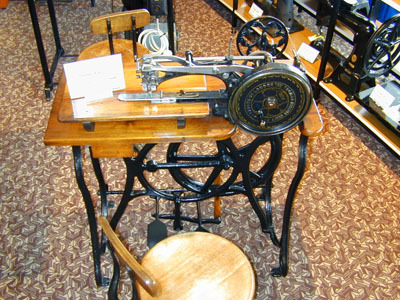 It contains a collection of over 600 domestic and industrial sewing machines dating from the period 1850 to 1950. It has been collected over a period of 50 years by the Managing Director of the Wimbledon Sewing Machine Co Ltd, Mr Ray Rushton. The machines collected show the changes and developments which were made to sewing machines throughout the years, especially as they became more popular in the domestic setting and when more women were able to afford one for themselves. The first Singer machine - Singer machines were incredibly popular and they are can often still be picked up relatively cheaply in flea markets and antique shops. Many people use them not only as working machines but also for room decoration as they were often very attractive machines. A unique machine owned by Queen Victoria's eldest daughter. This machine was given to the Princess as a wedding gift and is highly decorated with imperial eagles and an engraving of Windsor Castle. A patent machine from America sent over for the Great Exhibition. This is one of those London museums which although not large and very specialist in nature, should certainly not be forgotten about and if you are nearby or are an enthusiast I would say it definitely warrants a visit.